The fourteenth hole is the of three holes which architect Dr Alister Mackenzie designed around a large sand-dune. The tee shot is blind and takes golfers over the sandhill and its famous carry bunkers. 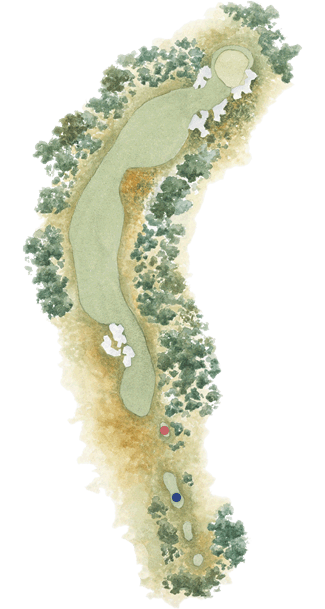 Unless one is able to thread the ball between the drive bunkers on the left and tea-tree on the right, the carry is a heroic one for all but the biggest hitters.